We visited the "Sherry Darling" tasting Mondat 8th. Bert knows a lot and brings it with joy and passion. Together with the 8 different whisky's he and his partner Annelieke brought typical little appetizers which matched perfectly with the drams. Lovely evening, thanks! It's a very nice place to eat and drink whisky. There have about 600 different bottles whisky, from which you can make a choice. The food is delicious and many recipes are prepared with Whisky. Pretzels has a one of a kind interior. Every time you visit them for a wonderful meal, you discover new attributes to look at. Nice and cosy atmosphere with a dedicated and friendly crew. Both chefs, bartender and waiters. Delicious mails and plenty to choose from. Alternating menus depending on the seasons. It takes a while to figure out the menu but it worth while reading it before making your choice. 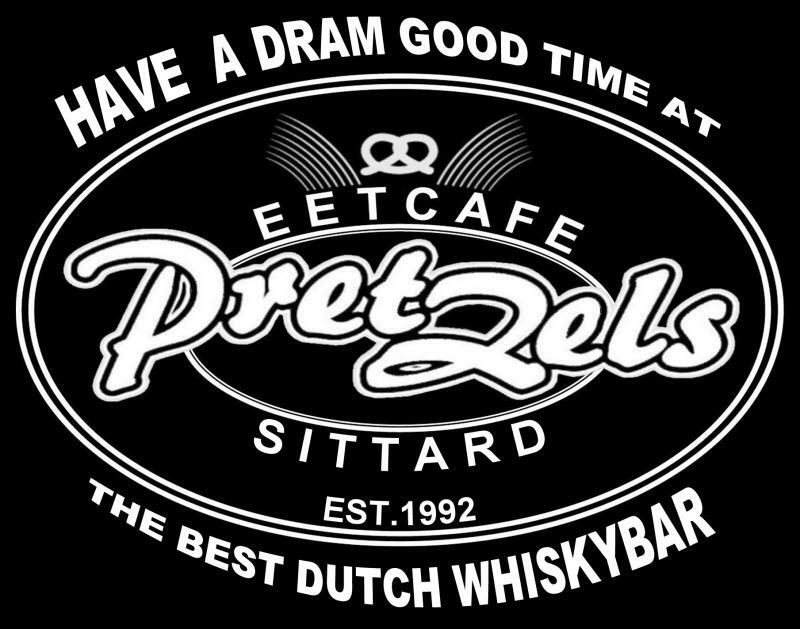 After enoying your diner, you can ask Bert to provide some advice on the 500+ whiskies you can choose from. They won The scotch single malt whisky award in 2009. But to me, they can be rewarded a Michelin star as well. Pay them a visit while your in the neighbourhoud and enjoy.